The practice of search engine optimization can be confusing! With over 200 ranking factors (some proven, some speculation) and a variety of search optimization tactics (Semantic, Local, Technical, etc. ), learning how to practice the art of SEO can feel overwhelming. Plus, what is up with all the SEO jargon? It's like an SEO is speaking another language sometimes, right!? Well, have no fear, we've taken the liberty to create this handy dandy, infographic that breaks down a variety of common SEO terms and jargon. So now you can not only walk the walk, but you can talk the talk. 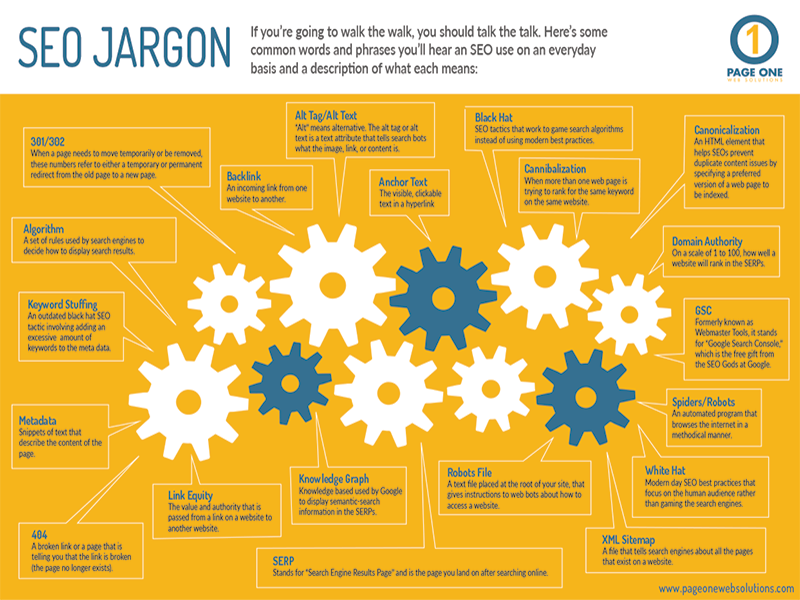 Please download, save, print, share, use this SEO jargon cheat sheet to your heart's desire! Mad props and thanks to Alex Swallow for designing this infographic!